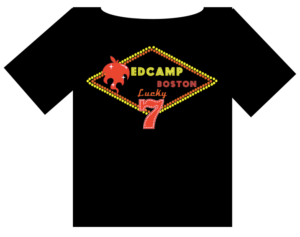 Don’t go to Cambridge and everything else to know for #edcampBOS 2017! Here’s the link to the schedule! Look! More rooms! Edcamp is happening THIS SATURDAY on March 11, 2017. Registration will start at 8:30. Please don’t show up before 8:30. We’ll start kickoff at 9:00 and schedule building will follow. First sessions start at 9:30. We’ll have lunch at some point, and wrap up with a shared debrief that should finish around 4:00. Don’t go to Cambridge! We’ve moved this year! Microsoft’s offices in Burlington are quite lovely and give us more rooms to work with for breakouts than we’ve had before. You want to aim for 5 Wayside Rd, Burlington, MA. We’re ordering pizza from Pizzeria Presti. We’ll do our best, but can’t guarantee we can have something for all dietary needs. After the day is over, please join us for appetizers (on us) and drinks (on you) at Tavern in the Square, a short drive away.